Description: Show your team spirit! 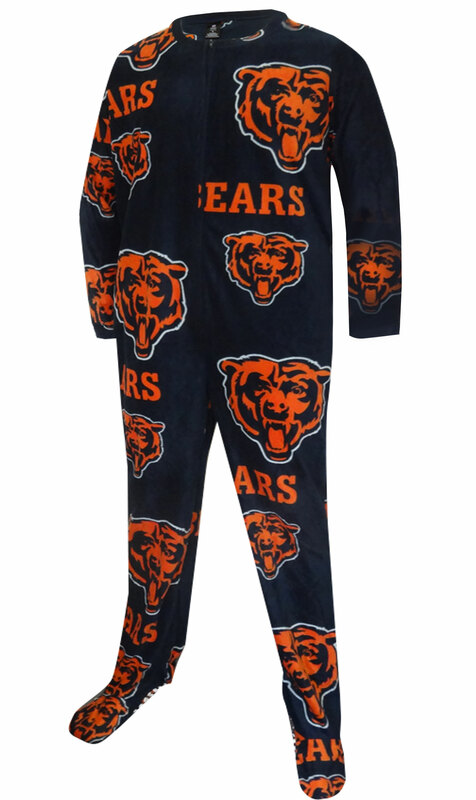 This soft and cozy microfleece footie pajama for guys features the Chicago Bears logos on a navy blue background. Pajama is machine washable and has two pockets, as well as gripper bottoms on the feet. These jammies are totally awesome! Generous sizing. I'm very pleased with my onesies. It arrived quicker than I thought. I love it! !